GLOBIS is a good example of cultural diversity. Over 100,000 people have taken GLOBIS classes, from over 50 countries. It maintains a diverse network, including its staff and faculty members, from Japan and around the world which makes the organization a melting pot of people, culture, language, and ideas all aiming to provide world-class business education for Japan and beyond. As expected, with cultural diversity comes differences in thoughts and actions – a good and necessary outcome for the organization. But the dynamics diversity brings also pose some unique challenges. If someone unintentionally or ignorantly commits some cultural faux pas, misunderstanding and miscommunication can easily arise. As such, more and more professionals and organizations are investing in cultural training to help them navigate today’s increasingly culturally diverse business spaces. Educating yourself to be culturally intelligent without proper context and framework, however, can lead to mindless cultural training. It results in cultural stereotyping, which only serves to exacerbate the original problem of cultural insensitivity. So what is the solution? I propose Cultural Mindfulness. Culture is broadly defined as the ideas, customs and social behavior of a particular people or society. In an organizational setting, culture is the collection of written and unwritten values, philosophies, and practices that govern how members of the organization behave and interact internally and externally. Mindfulness, meanwhile, is commonly known as the psychological process of bringing one’s attention to experiences occurring in the present moment. In other words, it’s “being at the moment” or “living in the moment” and being conscious of our own thoughts and behaviors as we interact with other people or situations. Combining the above definitions give us Cultural Mindfulness – a state of being mindful of, first, your own cultural construct, and second, the cultural constructs of the other person you are interacting with at the moment of such interaction. It simply means basing your reaction or response to the actual stimuli (the other person) without the baggage of cultural stereotyping. It’s important to stress that the focus of cultural understanding or awareness should first be from within (yourself) and then manifest that externally by being mindful of other people’s cultural conditioning. Simple answer: To avoid becoming too ethnocentric. Ethnocentrism in itself is not bad. We all have and need a certain degree of ethnocentrism in our lives to have a healthy appreciation of our own background, origins and culture. Such perspective plays a significant role in how we define ourselves, form our belief systems, and identify with others. The challenge is to find the balance between knowing your own culture and being open to understanding the culture of others. – become judgmental and worse, turn into bigots, our hearts filled with hatred and rage. Another good reason to pursue cultural mindfulness is it helps us develop an awareness of our own cultural biases. We all have and need to have biases. 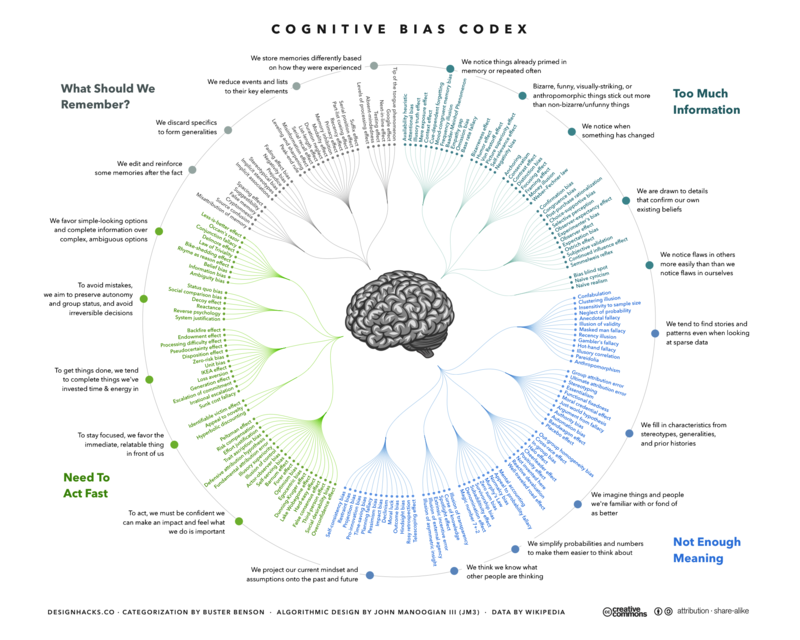 As leading neuroscientist Dr. David Rock says,“If you have a brain, you are biased.” Unfortunately, there are just too many cognitive biases that we, as a species, have learned and accumulated as a result of thousands of years of evolution. Having awareness of all of our cognitive biases is obviously impossible as well as insane. However, it’s crucial that we try to be aware of our own cultural biases. The key is not to deny our own cultural biases but to recognize that we have those biases. And through the process of self-awareness and being open to how other people experience and view their own cultural biases, we can become truly mindful of our own and other people’s cultural lenses and conditioning. In essence, we become culturally mindful. As an example, in Japan, the concept of being on time is predominantly observed and even expected. In fact, Japan time is actually 5 to 10 minutes earlier than the appointed time. However, if a Japanese arrived late, we sometimes make a quick judgement that they are not being “Japanese” without even bothering to know the reasons why they were late in the first place. Is this a one-time event or is this a recurring behavior of the individual? Being culturally mindful in that instance means that we first must have an awareness of our own concept of time: is it several minutes before the appointed time, exactly on time, or several minutes after the appointed time? Then, we inquire about and seek understanding of the other person’s concept of time. Finally, we find out the reasons that contributed to their delay (e.g., train delays, miscalculation of time, accident, or even laziness). From there, we can make a more informed reaction based on that incident and act accordingly. The reverse is true. If a Filipino arrives on time for an appointment, people may be surprised because of the prevalent cultural stereotype of “Filipino time” which is later than the appointed time. Personally, I have always subscribed to the concept of “Filipino on time” and plan my appointments accordingly so that I show up at least 5 to 10 minutes in advance. Does that make me less of a Filipino and more of a Japanese? No, it’s simply a personal preference; I want to manage my own time while respecting other people’s time. That is, theoretically as per cultural stereotype I should be following Filipino time since I was born and raised in the Philippines. But in reality, I show up on time consistently (a Japanese cultural stereotype) even before living in Japan and learning its cultural norms. In short, cultural mindfulness teaches us how to understand ourselves first and then others. When dealing with cultural issues, the first step is to withhold judgment for the moment. Be aware of our own cultural biases and conditioning, and then seek to understand the perspectives of the people we encounter. At GLOBIS, I think you can gain some insights on how to become culturally intelligent and, more importantly, how to start being culturally mindful. Abridged with permission. Original article can be read here in the HR Agenda Magazine. Photo by Erik Reis. If Trump doesn’t want you, try Japan instead.